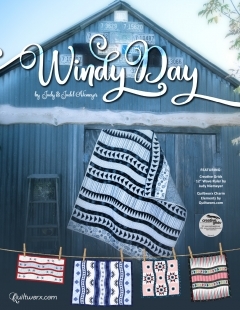 The Windy Day book features six layouts ranging from a small wall quilt to quilts large anough for a twin size bed. 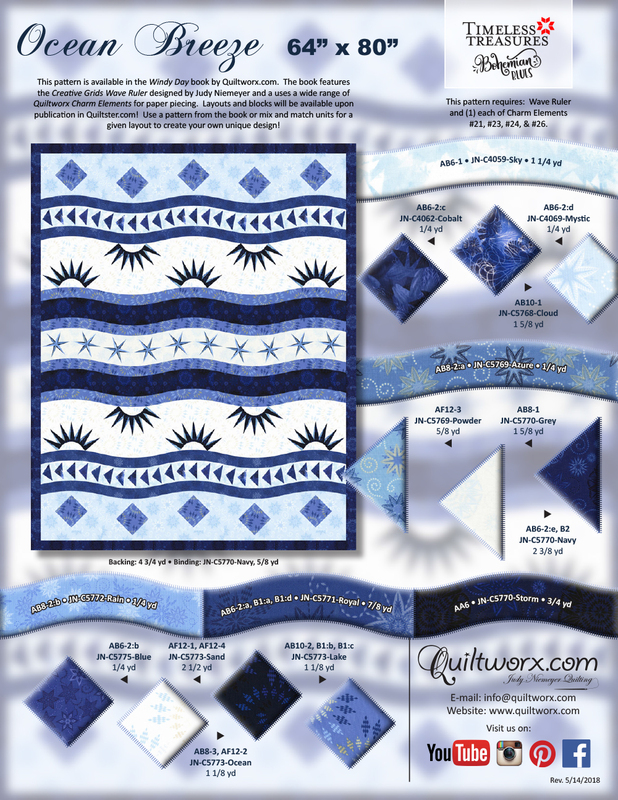 Complete these layouts using your favorite fabrics, or add paper pieced Charm Elements to achieve a fun quilt layout perfect for nearly every occasion! 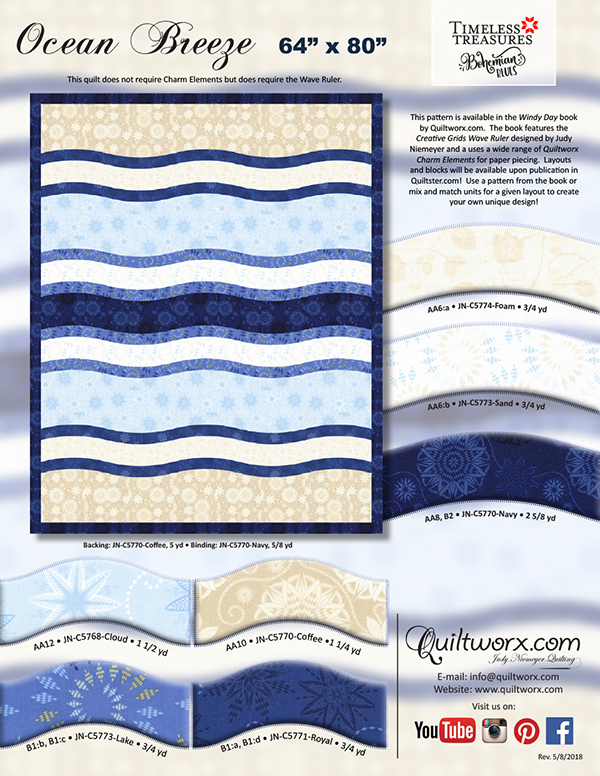 The 12" Creative Grids Wave Ruler designed by Judy Niemeyer is a required notion for the projects in this book, but the paper piecing elements are optional. 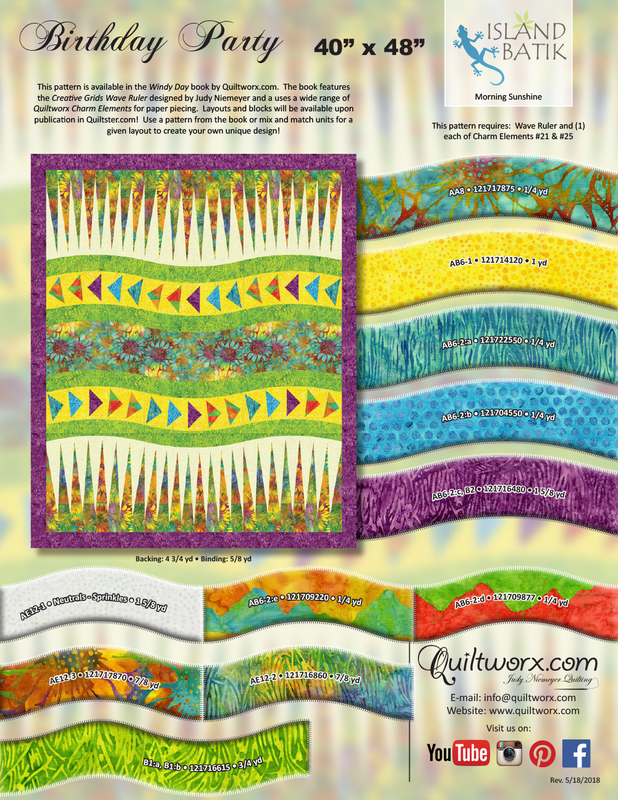 Select the option for the ruler and the book if you want both. 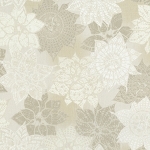 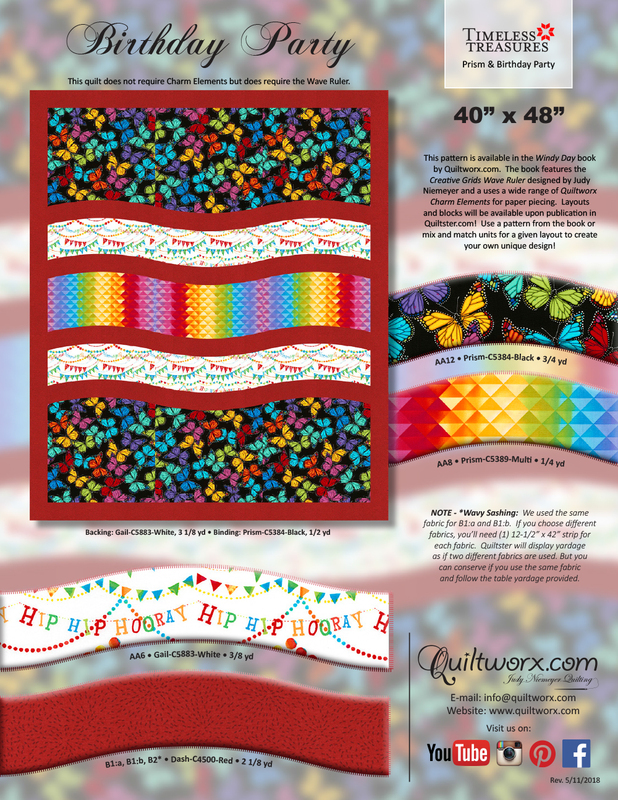 If you want any of the paper piecing elements, please let me know and I will get themf or you. 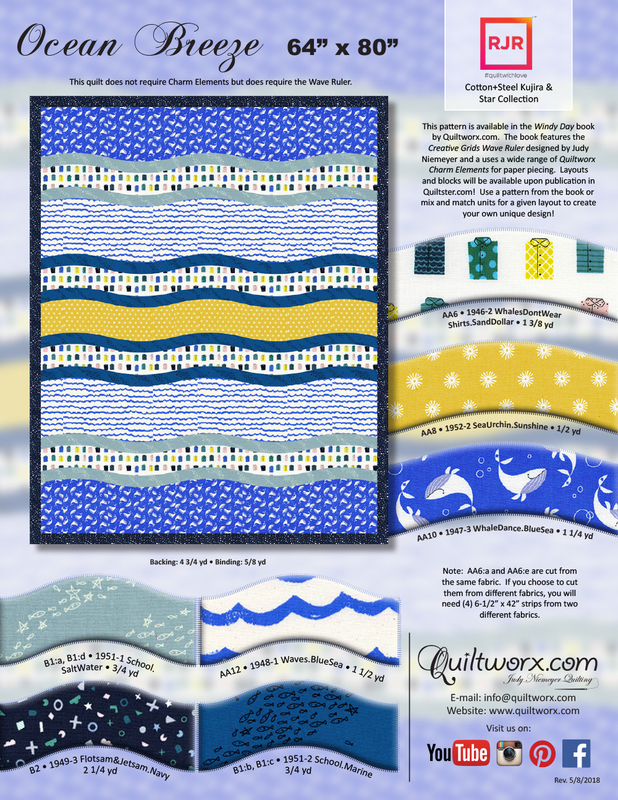 The layouts in this book and more are available in Quiltster for you to play with as you plan the perfect project. 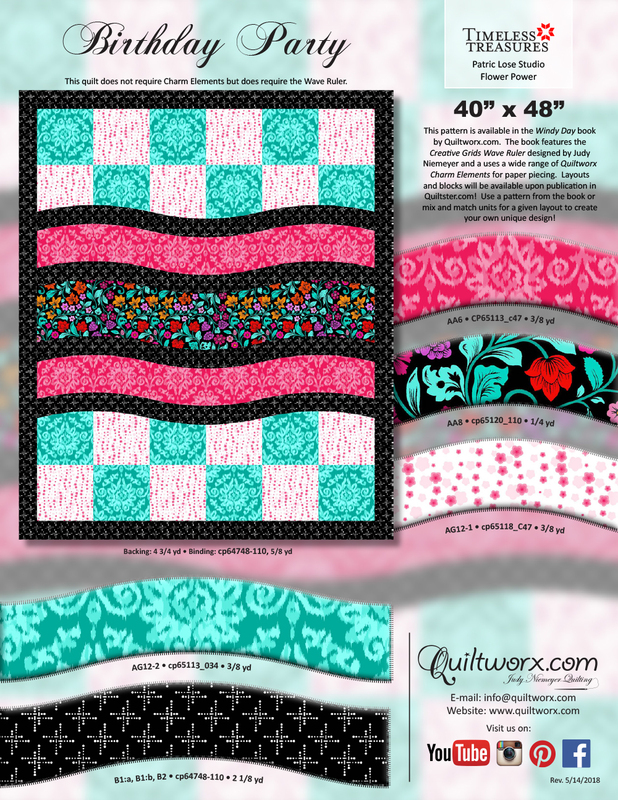 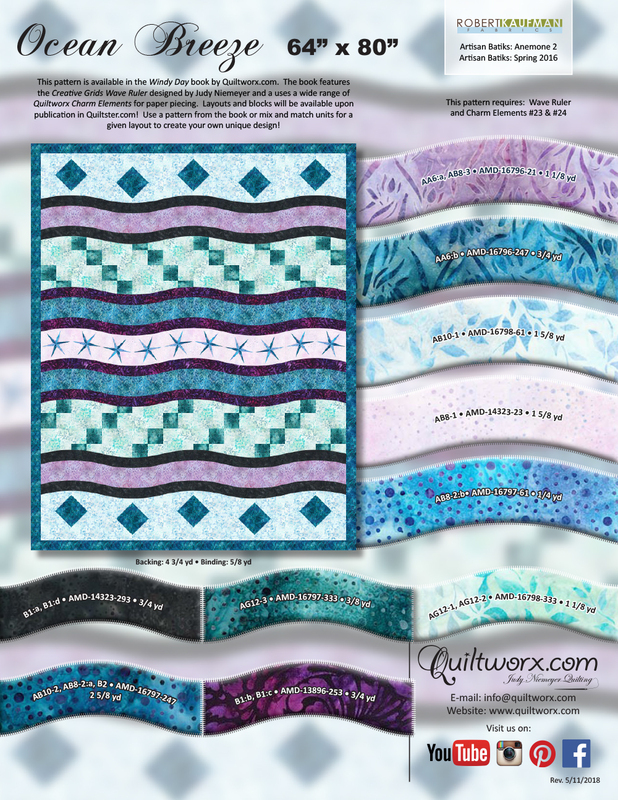 If you buy the book, ruler and fabric from Granny Sassy Designs we will help you design your colorway in Quiltster, or you can visit Quiltster.com to sign up for your own account.